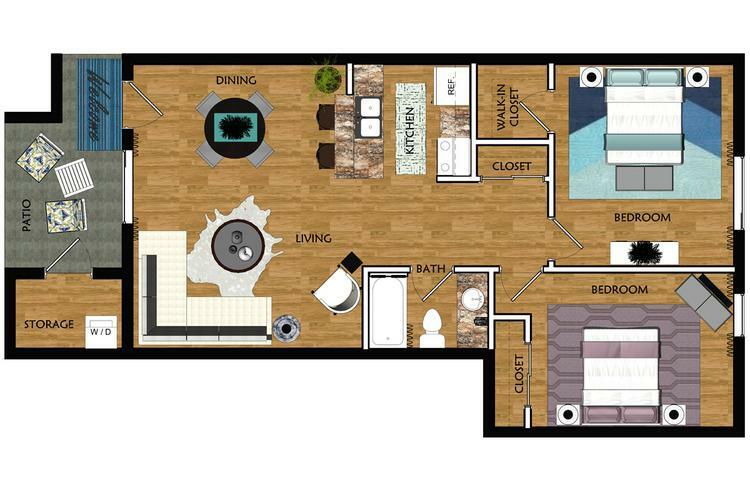 The spacious Scottsdale, our 2 bedroom apartment in Mesa, AZ, features a galley style kitchen with a walk-in closet. 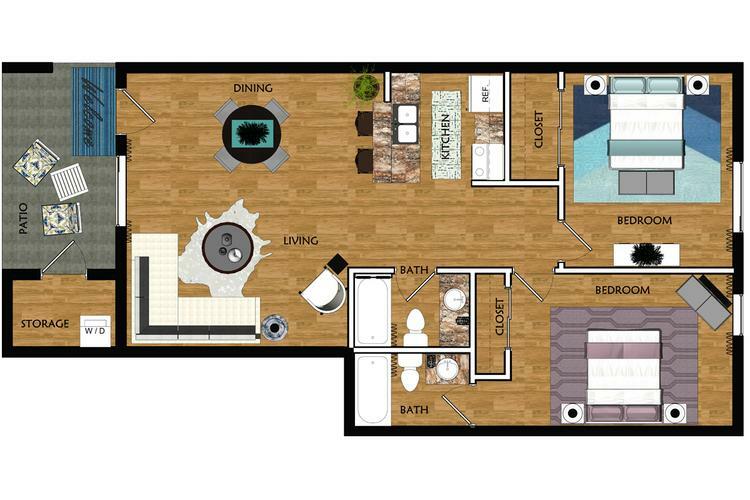 Upgrade your living space with our most spacious 2 bedroom apartment in Mesa, AZ, The Phoenix. Also, you can take advantage of the large exterior storage on your patio balcony. You'll love the convenience of having your very own washer and dryer appliances included!